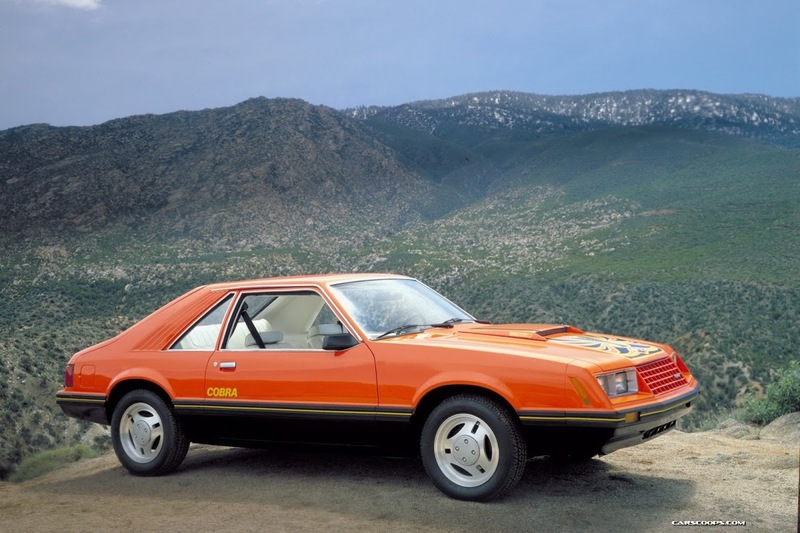 Ford’s Mustang is one the best examples of model rediscovering its mojo in the car industry. After the woeful Mustang II, and not much better Mustang III, Ford got it right from 2004 and more so since then, even adding independent suspension to the current generation (only 95 years behind Europe, but still…). The latest Mustang is now sold in Europe too, with modern EcoBoost turbo engines and steering which actually, you know… works. 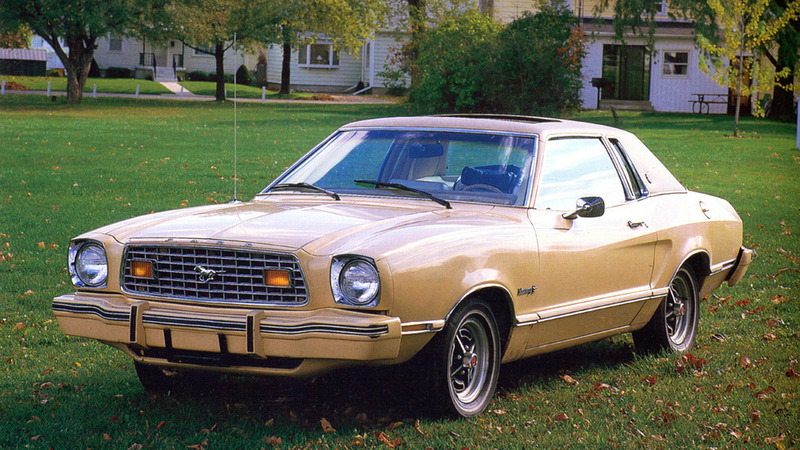 But it wouldn’t be a Mustang without an enormously over-powered version that will inevitably do something like this. Or this. Or this. Cue the 2020 GT500*, which – with over 700bhp from its 5 litre V8 – has more than enough power to crash through an entire carpark. This glorious homage to Ford’s silliest muscle car is the work of TLCB Master MOCer Firas Abu-Jaber, who has captured the new GT500 beautifully. There’s opening doors, trunk lid and hood, under which sits a brick-built recreation of the GT500’s enormously unnecessary power-plant. Head over to Firas’ photostream for the complete gallery of images, before someone drives it off the desk in a manner similar to this. *a) How do American cars time-travel, and b) Why is it not the GT700? Answers in the comments. Turning a classic muscle car into a rock crawler should be an abomination, but it just… works. This magnificent slice of muscular yellow rockery comes from TLCB regular de-marco and we absolutely love it. With classic Town spring suspension and cunning SNOT techniques throughout, de-marco’s 5-wide ‘Off-Road Muscle Car’ is well worth a closer inspection. You can even build it for yourself as there are instructions available too! Head over to Flickr via the link above to go ringside. 1974’s Gone in 60 Seconds, and the 2000 remake, are not exactly the best movies ever made. However one thing that can be said for the original is that the stunts are very real. Written by and starring H. B. Halicki, the movie destroyed 93 cars in just one 40 minute chase seen, and totalled 127 vehicles overall. Many, including all of the police cars, were bought by Halicki at auction in a very used state for under $200 per car. Still, that’s not exactly pocket money in the seventies, so Halicki employed family and friends rather than professional actors in order to keep production costs low. There was also no official script (which kinda shows) and despite all of the stunts being filmed for real their authenticity is somewhat hampered by some spectacularly dodgy continuity. Much like this website. The 2000 remake starring Angelina Jolie and Nicolas Cage was far better made, but professional production values didn’t really result in a better movie. They did keep Halicki’s star car though, albeit in updated form; a glorious custom 1967 Ford Mustang known as ‘Eleanor’. Previous bloggee Lachlan Cameron has recreated the famous movie car from the Gone in 60 Seconds remake beautifully in Technic form, and has included a huge array of working technical functions underneath car’s the iconic bodywork. There’s lots more to see at Eleanor’s album on Flickr via the link above, and you can watch the original movie trailer – which is basically one minute and twenty seconds of car crashes – by clicking here! Today’s post title is as tenuous as it gets here at The Lego Car Blog! This beautifully photographed yellow muscle car comes from TLCB favourite _Tiler of Flickr and it’s overflowing with wonderful techniques. Our highlight is that enormous supercharger, or ‘blower’, sticking out of the hood. Blow is also known as snow, and yellow snow is funny. See, seamless! Moving on… there’s more to see of _Tiler’s gorgeous build at his photostream – take a look via the link above. This remarkably neat 6-wide muscle car by Angka Utama hides a cunning secret beneath its exterior curves. * Yes, underneath the white bodywork is another complete car, and it’s equally neat too. There’s more to see of Angka’s ingenious creation/creations on both Flickr and MOCpages – take a look via the links. Back in the 1960s a rather special deal was done. Hertz, recognising the interest in Ford’s new muscle car, signed a deal with Ford, who provided the company with 1,000 specially-painted Mustang GT350s. The cars joined the rental fleet and immediately gave both companies marketing gold, allowing almost anyone to drive the hottest car in America for a day. After the rental arrangement concluded the cars were refurbished (hopefully very throughly!) and sold on as the Mustang GT350-H. Some of these cars survive complete with their iconic black and gold liveries, and they look gloriously cool in today’s world of white and sliver. This spectacular replica of one of the original 1,000 Hertz Mustangs comes from previous bloggee Pawel Kmiec (better known as Sariel) and it captures the famous livery beautifully. Sariel’s GT350-H isn’t just beautiful on the outside either, as underneath the removable bodywork sits a fully remote controlled drivetrain, with twin Power Functions drive, remote steering, plus a working V8 piston engine and front and rear suspension. There’s lots more of Pawel’s brilliant Ford Mustang GT350-H to see on Flickr at his photo album, you can read our interview with him as part of the ‘Become a Professional’ series by clicking here, and you watch the model in action via the excellent YouTube video below. Launched in 1970 the Dodge Challenger was the Chrysler Corporation’s answer to the Ford’s Mustang and General Motors’ Camaro. To compete with the wide variety of models available from Ford the Challenger could be specified in a myriad of engine and trim options, from a 3.4 litre slant-6 making about 4bhp to the monstrous 7 litre and 7.2 litre Hemi and RB V8s. You can guess which end of this scale we have represented here today! The original Challenger only lasted a few short years, arriving very late to the muscle car party when most people were already passed out or staggering home. The fuel crisis of the 1970s didn’t help much either and the Challenger was gone by 1974. Despite its short lifespan though, original Challengers are seriously sought-after, and the design made enough of a lasting impression for Chrysler to resurrect it with a retro-styled reboot in 2008, a car which is still available today. This absolutely spectacular 1971 Dodge Challenger R/T (with the big V8) comes from previous bloggee Dave Slater who has captured the real car beautifully in Model Team form. Opening doors reveal a wonderfully detailed interior, whilst the iconic hood can raise to reveal a stunning (and very orange) replica of the 426 Hemi V8 underneath. There are lots more brilliant images to see at Dave’s Dodge Challenger R/T Flickr album – click the link above, find an empty and dead-straight road, and nail the throttle. It’s not quite the festive season yet, but as we hate Cyber Monday almost as much as we do Black Friday we’re willing to come a little early to avoid the frenzied consumerism. Anyhoo, Santa and his Elves (which, make no mistake, are a very different sub-species to ours) are about to enter their busiest month, so Saint Nic is having one last wild party before the hard work begins. Father Christmas’s parties are world-renowned, and this one involves a sports car, a polar bear, a reindeer, and an anthropomorphic lump of snow, so it easily beats the last party we had here at TLCB Towers which involved little more than sausage rolls, cheap beer and regret. LEGO 7 is the doorman at Santa’s shindig and you can see if your name is on the list to get in courtesy of his photostream – click the link above and cross your fingers. The Lego Car Blog Elves have a long and chequered history with remote control vehicles. Regularly chased, squashed, and manhandled by one of their number at the controls of an RC creation, they only have themselves to blame. Unless we do it of course. However if they’re going to be run over by a remotely controlled Lego model it may as well be by a vehicle they like, and we expect this brutal-looking Charger-esque supercharged muscle car is the Elves’ very favourite of all the creations that have mowed them down. Built by previous bloggee Paave this RC masterpiece not only looks the part, it’s packed with cool functions too. Remote control drive (by two L Motors) and steering (via a Medium Motor) of course feature, plus rather cleverly the supercharger belt also spins. There’s working suspension front and rear, positive caster angle, opening and locking doors, hood and trunk, and the bodywork is completely removable from the chassis. There’s lots more to see of Paave’s superb Technic muscle car via MOCpages, Brickshelf and Eurobricks where you can also watch a video of the model’s features in action – click the links to check it out. After publishing some weird vehicles yesterday we’re back with something that’s very The Lego Car Blog. This beautifully reconstructed 1972 Chevrolet Chevelle SS is the work of Flickr’s VR workshop, and it is – as you can see from the image montage below – quite brilliantly detailed inside and out. With a highly detailed engine bay and interior, plus opening doors, hood and trunk, VR’s Chevelle is an almost perfect recreation of Chevrolet’s famous early ’70s muscle car. There’s lots more to see at VR workshop’s photostream – click the link above to make the jump.